For the first time Chinese citizens can study in Taiwan, which is an important step towards overcoming mutual prejudices and improving overall relations between Beijing and Taipei. In his first year in Taiwan, Chinese student "Paul" spent much of his spare time in bookstores and libraries - not poring over books for his field of study, but publications banned in China. "I read more than 12 banned books in half a year... books about the Communist Party's history... and a lot of history books. "I learned that before 4 June [date of the 1989 Tiananmen crackdown], there were a lot of struggles. Chinese people's courage was not just limited to that one incident," said the student in his 20s, who wanted to use a pseudonym to avoid problems with the Chinese authorities. "The books told in great detail what was brushed over in mainland China," he says. "This changed the way I thought about China's historical figures and events - the more I read, the more I understood." When China agreed last year to begin allowing Chinese students like Paul to study for academic degrees in Taiwan - as part of an unprecedented warming of relations between the two former rivals - it looked forward to both sides' young people getting to know each other. That is seen as an important step toward overcoming mutual prejudices and improving ties further. But by allowing impressionable minds to come here, Beijing may be getting more than it bargained for. For the first time, its citizens can stay here for an extended period of time - up to four years - and experience for themselves how a democracy in a Chinese-speaking society functions. Nearly 1,000 students enrolled in local universities last year, and they have now completed their first academic year. Unlike studying in the UK or the US, here they do not have any language barrier. Even the less politically-minded students cannot help but notice the openness of Taiwanese society, especially in the run-up to the presidential election in January . They went to election rallies, not only for incumbent candidate President Ma Ying-jeou, but for his rival Tsai Ing-wen from the opposition party that favours Taiwan's formal independence from China. "I felt Tsai Ing-wen exhibited good character when she accepted defeat," said one student who wished to be called 'Henry'. With everything they are exposed to, many are left wondering why things are a certain way in Taiwan and another way in China, even though in their minds: "We're all Chinese". A recent incident involving a family in Taipei surnamed Wang, which refused to make way for a redevelopment project, surprised Chinese students. Large sit-ins and protests were held by rights activists and students in support of the family. In the end, the government amended laws to make it more difficult for developers to force residents to move. "If there's a family like the Wang family in the mainland, no-one would support it, they would be afraid of getting in trouble. So that's a major difference. The family will have no way to resist the government's strength," Henry says. "But in Taiwan, when people get involved, the government doesn't take a harsh approach, but instead responds quickly. Taiwan's method is very humane." Besides hitting bookstores, those who are especially curious have looked up Taiwan-based Chinese dissidents Wang Dan and Wu'er Kaixi from the 4 June 1989 democracy movement. Some regularly attend Mr Wang's Democracy Salon - to discuss the prospects for democracy in China. There are indications a wary Beijing wants to control how much the students are exposed to. Prior to coming here, some of the students are told by their local Taiwan Affairs Office to avoid contacting dissidents or members of the banned Falun Gong spiritual movement. And they are advised that if they get a chance to meet Taiwan's president, they should address him as "Mr Ma" not "President Ma". There are also signs Beijing tries to monitor what the students are up to while they are here. One Chinese student who had attended Mr Wang's democracy salon was called to a meeting by the Public Security Bureau in her hometown upon her return. Another student who wrote a rather mellow article widely published in Taiwanese newspapers praising the island was cited as an example of inappropriate behaviour - publicly expressing her views - at a meeting in Beijing for students preparing to study in Taiwan. While it is debatable how much the students' experience will influence them and China in the future, it is sure to have an impact, Taiwan's education officials say. "The impact isn't something you can see in a few days, but in the long term, especially if more of them come here, this will definitely have an impact on mainland China," says Wang Yeh-lih, chair of the political science department at National Taiwan University. "Democracy is a way of life. In their time in Taiwan, be it four years for a bachelors or PhD or two years for a master degree, they'll experience democracy." "When they return to China and are faced with similar situations, it'll affect how they see the situation, how they think a problem should be resolved," says Prof Wang. The students also come away with different impressions of Taiwan. Unlike the stereotypical images they see on China's TV stations about Taiwan's "chaotic" society - especially parliament's notorious fights - they realise that it is an orderly democracy and one in which the president frequently apologises when things go wrong. "It doesn't seem chaotic," said 'Michael', another student who requested anonymity. "All of a sudden, there might be several million people protesting in Taiwan, but it's a reflection of Taiwan's democracy. It's their right." Many of the students even change their opinions about the touchy issue of Taiwan's sovereignty. 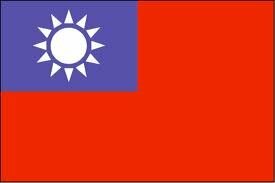 In China, many are taught the official line - that decades after the end of the Chinese civil war, Taiwan remains a province of China's to be reunified one day - by force if necessary. "Before coming here, everyone felt the two sides must reunify. But after coming here, many people feel let's just maintain the status quo," says Paul. "Why force people to be a certain way? It's something that should be decided by Taiwanese people." Taiwan's Deputy Minister of Education Lin Tsong-ming believes allowing Chinese students to study here will do more than just help Taiwan's universities boost low enrolment - it will enable more Chinese people to recognise the benefits of not interfering with Taiwan's self-rule. "Letting them gain a better understanding of Taiwan's situation will be very helpful to the peaceful development between the two sides in the future," Mr Lin says. The two sides have yet to sign a peace treaty. However, not everyone is impressed with everything in Taiwan. Many see the local media as politically biased and being manipulated by political or business interests. Others worry it could practice self-censorship if pro-China businesses increasingly take control. And the students do not necessarily believe the same style of democracy will work in China. "We think in the future, China will have such a day (democracy), but it's hard to say when," says Henry. "Our situation is very chaotic. If it's not run well, it could have bad results. "Taiwan's democracy didn't happen in a day either. Our road will be much longer; we have more people." So far, the number of Chinese students coming here has been smaller than expected, partly because fears that they will take scholarships and jobs from local students have led to restrictions against them applying for government scholarships, or working. Still, many of the students will leave with more than just their degree. "What we've consistently heard from Chinese students... is that the strongest impression they have is Taiwan's democracy," Mr Lin said. "This will influence them throughout their careers." Many of the students are the cream of the crop and could become future government officials or civil servants in China. Despite a feeling that Taiwan's governing system is not perfect, their understanding of and desire for democracy becomes stronger after living here. "Taiwan can help the mainland go on the path of democracy," Michael says. "When students come over, even if they don't know how the mainland will become a democracy, at least they know this is what Chinese democracy is like." "Watching elections in the US and France is not the same. This is Chinese. Many people will ask can this be possible in China."